It’s been a long, crazy year. Even though I didn’t quite make it through my 11 in ’11 list (oops), I managed to accomplish a lot of things that I am very proud of. Mike and I bought our first house; I got accepted in the dietetic internship program of my dreams; I ran my very first race, the Hot Chocolate 15K in Chicago; signed up for my first half marathon; and celebrated one year of marriage with Mike. Maybe 12 in ’12 will be a little more successful. I actually made most of the items on my 11 in ’11, but I never found the time to write about them. I think once I graduate in May my life will become much more manageable and DSD will once again be updated regularly. So, keep an eye out in 2012 for my 2011 must-cook dishes!! Until then, stir up some of these delicious caramels – the perfect balance of sweet and salty goodness. Line a 9×13 pan with aluminum foil. Coat inside with cooking spray. Set aside. In a large microwave safe bowl combine butter, white sugar, brown sugar, corn syrup, sweetened condensed milk and vanilla. Stir together and place in microwave. Cook on full power for 6 minutes, stopping to stir thoroughly twice during the cooking time (every 2 minutes). Remove from microwave and stir until well mixed. Pour into prepared pan. Place in fridge until firm, about 45 minutes. Remove whole slab of caramel at one time by pulling up on aluminum foil. Place slab on cutting board covered with parchment and peel off foil. 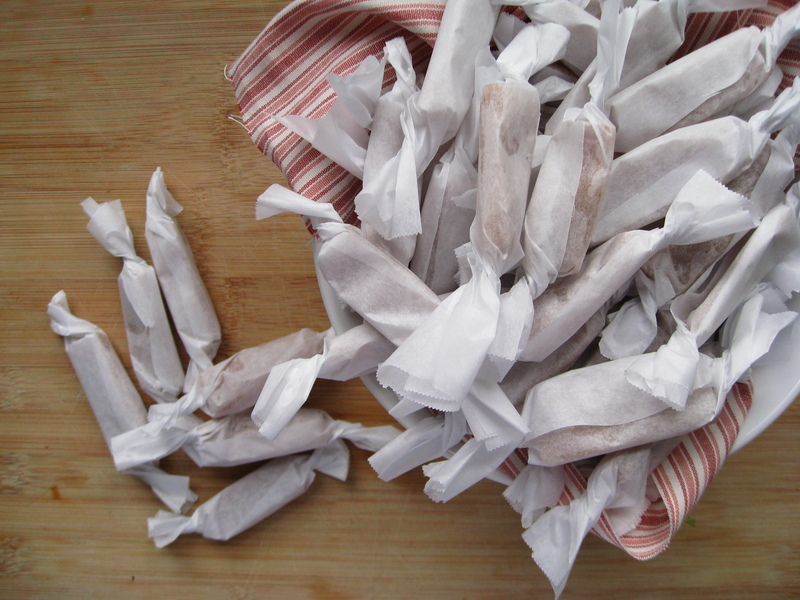 If caramels are oily from the cooking spray, blot them off with a paper towel. Sprinkle coarse sea salt directly on top of caramels. 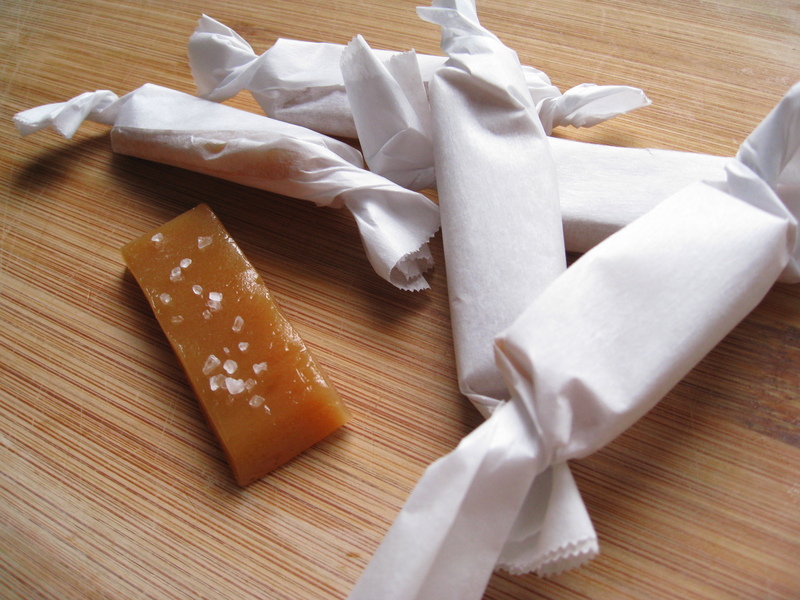 Cut caramels into desired size and wrap with parchment paper. 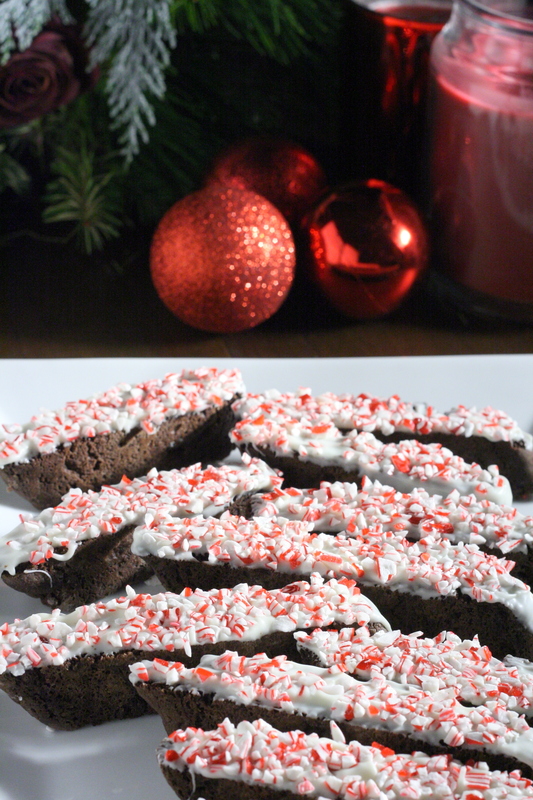 Categories: Candy, Dessert, Gluten Free, Special Diets | Tags: candy, dessert, quick and easy | Permalink.